Why? Why did Liz Emerson decide that the world would be better off without her? Why did she give up? Vividly told by an unexpected and surprising narrator, this heartbreaking and nonlinear novel pieces together the short and devastating life of Meridian High’s most popular junior girl. 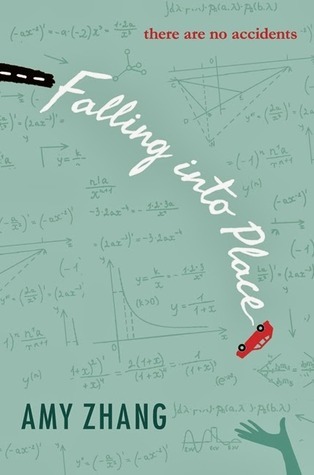 Mass, acceleration, momentum, force–Liz didn’t understand it in physics, and even as her Mercedes hurtles toward the tree, she doesn’t understand it now. How do we impact one another? How do our actions reverberate? What does it mean to be a friend? To love someone? To be a daughter? Or a mother? Is life truly more than cause and effect? Amy Zhang’s haunting and universal story will appeal to fans of Lauren Oliver, Gayle Forman, and Jay Asher.